'Street Chic' is my favourite of their new season styles featuring studded embellishments and flashes of metallic to add an edge to your autumn style. The designs have a glamorous and romantic vibe and are encrusted with Swarovski crystals and pearls to create a dramatic look. 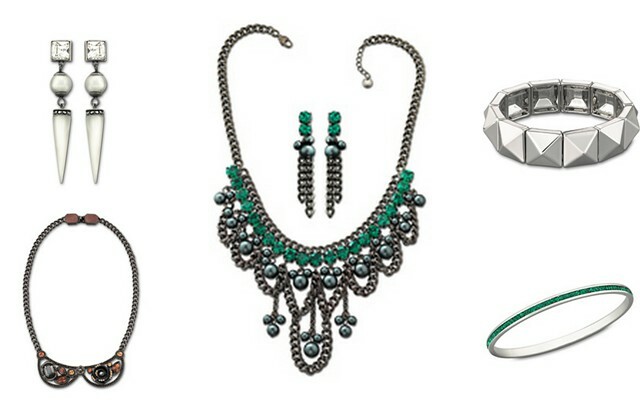 I love the spiked shape of the stud long earrings and rich emerald tones in the collection. 'Travel Snaps' features an extensive palette of colours and patterns mixed together inspired by eastern lands. The home disc necklace would make a great statement piece layered over a simple top. I love the retro feel to the patterned bangles, they're available in a mixture of clashing patterns and colours. The 'Essentials' collection has been updated with new colours for the season including bright emeralds, smoky topaz and vintage rose. 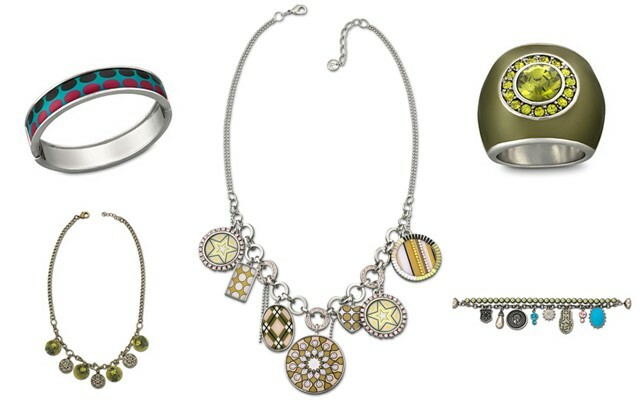 The essentials range is easy to wear and designed to add a touch of sparkle to each day. I love the square cut crystal solitaires, they're sure to inject some glamour into your autumn/winter style! AH lucky you getting to go! I'm not usually a big jewel fiend per se but I do like a classic necklace, bracelet or ring. So I think I'm gunna be partial to the Essentials bits! 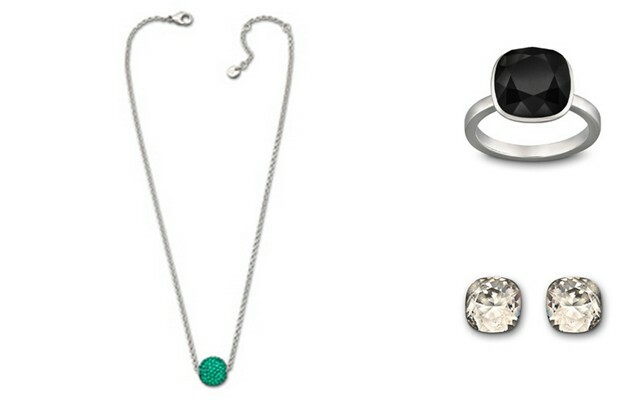 The black ring and silver studs are so me. And they are timeless as well! Oohhh I really love the essential ones. That black ring packs a lot of punch by itself!